Ten-year-old David is a regular kid except for one thing: He has Asperger’s Syndrome. 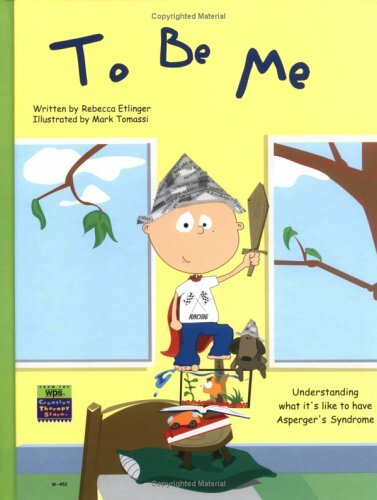 Written from David’s point of view, this book uses illustrations and kid-friendly text to tell young readers what it’s like to have Asperger’s Syndrome. David explains that he’s a little clumsy, he has trouble making friends, and sometimes he can’t figure out how to carry on a normal conversation. But David wants to have friends, and with the help of his teacher and his parents, he gives the kids in his class some very helpful tips about what they can do to help a classmate with Asperger’s Syndrome. After learning about Asperger’s Syndrome, the other kids realize that David’s not weird, just a little different. And David doesn’t have to play alone anymore. IL 1-4.